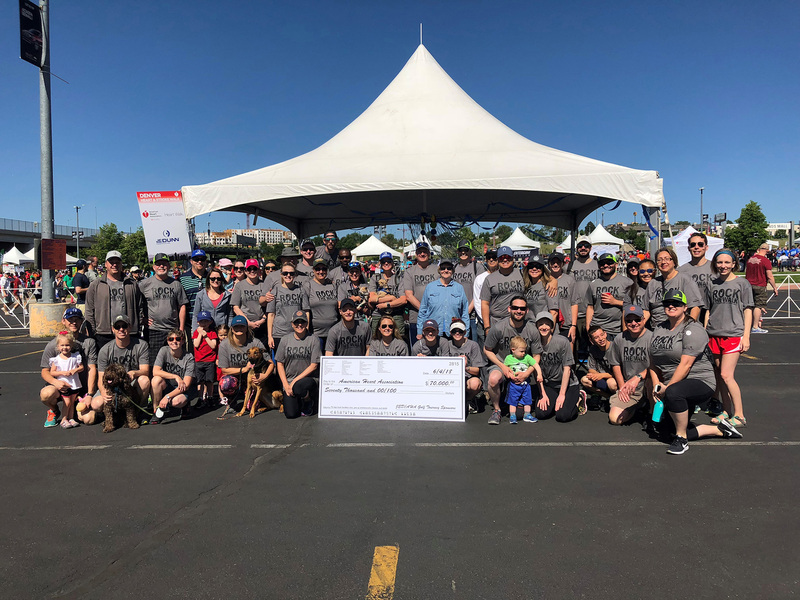 On June 2, 2018 JE Dunn employees, families and friends gathered to participate in the 2018 Denver Heart and Stroke Walk. This annual event is hosted by the American Heart Association to raise funds towards the treatment and prevention of heart disease, stroke and other cardiovascular diseases. Since 2010 JE Dunn Construction and many of its employees have supported the American Heart Association through giving and participation. In an effort to continue to maximize our collective impact by involving as many local companies as possible, we hosted our 2nd Annual Charity Golf Tournament to benefit the American Heart Association, held the Monday following the Walk. Thanks to our generous sponsors, a sold out two flight charity golf tournament and the efforts of our Heart Walkers we successfully raised over $75,000 for the American Heart Association. Special thanks to our Leadership Sponsor MTech Mechanical, and Patron Level Sponsors United Rentals, Colorado Sheet Metal, Southwest Concrete Pumping, Apollo Mechanical Contractors, Floorz Inc. and KHS&S. © 2018 JE Dunn Construction Group, Inc.